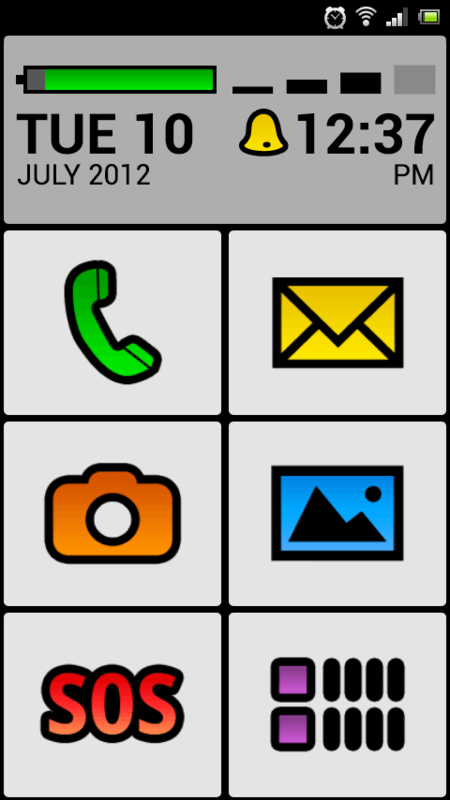 Sample phone setup options for different users. | 22 Point Blog! Sample phone setup options for different users. On the following pages, I have put together some sample sets of apps and settings which should work well for several different fairly broad user groups. As always these will not be ideal for everyone but are hopefully a good starting point. As different options evolve I will endeavour to add more information to these pages to build a more detailed listing of apps, settings and tips for each user group. This setup is aimed at someone who reads large print (around 18pt equivalent), and would like a selection of apps which work with large print, rather than needing to use the magnifier or speech. This setup would be aimed for someone who wanted the simplest, most basic phone to maybe call a few specific numbers quickly and easily and perform some specific and basic tasks, someone who has previously had a large print / big button feature phone perhaps. This setup is aimed at someone who relies solely on Android’s screenreader, Talkback.